In this modern-retelling of Beauty and the Beast, Savannah Carmichael, betrayed by an unreliable source, returns to her hometown of Danvers, Virginia with her once-promising journalism career in ruins. Given the opportunity to get back in the game by writing a patriotic human interest piece, Savannah turns her attention to the town hermit, Asher Lee, a wounded veteran who returned to Danvers eight years ago, and hasn’t been seen since. After an IED explosion in Afghanistan took Asher’s hand and disfigured half of his face, he’s lived a quiet life on the outskirts of Danvers where the locals respect his privacy…that is, until Savannah Carmichael comes calling in a borrowed sundress with a plate of homemade brownies. When Asher agrees to be interviewed by Savannah, he starts feeling things for the beautiful reporter that he hasn’t felt in years. Misfits in small-town Danvers, Savannah and Asher create a bond right away, touching each other’s hearts in ways neither thought possible. When a terrible mistake threatens to drive them apart, they’ll have to decide if the love they found in one another’s arms is strong enough to fight for their hard-won happily ever after. 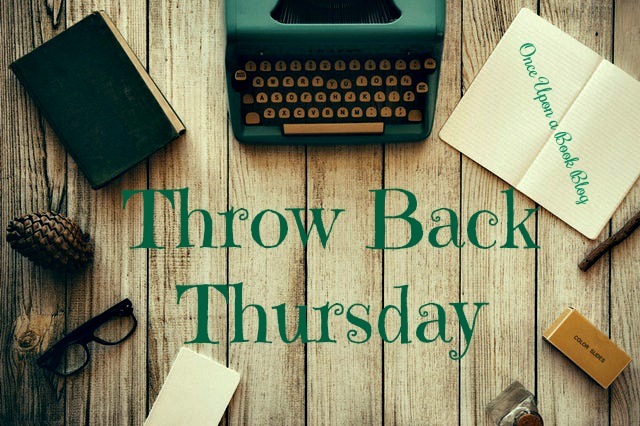 Posted in Adult, Amy, Contemporary Romance and tagged Throw Back Thursday!. Bookmark the permalink. This is one of my favorites! I hope you’ll check it out.